Do you know that smoking🚬 by the father before conception can permanently damage the DNA of the child? And that passive smoking can really harm the fetus. Watch this to see the dangerous effects of passive smoking on the baby in the womb. Studies have shown that pregnant women who are exposed to smoke at home, mainly caused by husband, are most likely to have miscarriages than those who have non-smoker husbands. If your husband is a smoker, you have very high risk of anemia hypertension and premature water breaking due to the second hand smoke you inhale. passive smoking during pregnancy can lead to sudden and unexpected death in infants. The toxins in smoke can badly affect the immuse system of the fetus and hence the ability to fight infections. 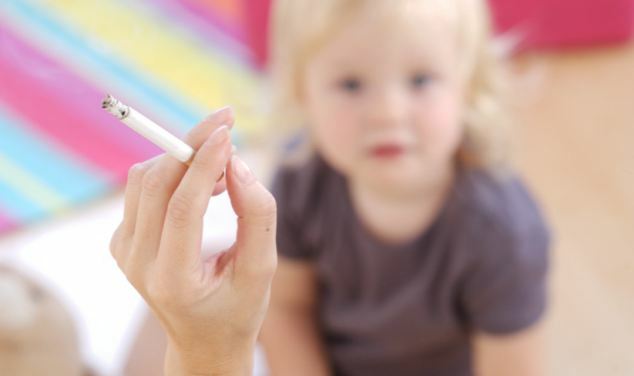 Your husband’s smoking can have lifelong effects on your child’s development. Children of women with exposure to smoke during pregnancy are more likely to have learning disorders and lower IQs. Yes, you heard it right! Research has associated passive smoking with birth defects like eye defects, gastronomical defects, shortened limbs. Also, father who smoke at the time of conception can pass on damaged DNA to their children.